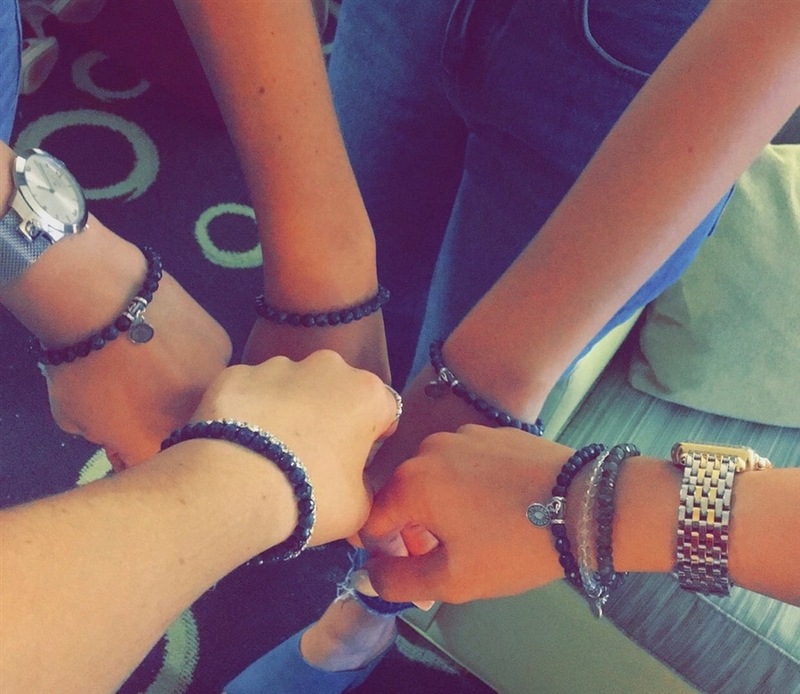 Custom made matching BFF bracelets to signify long term friendships. 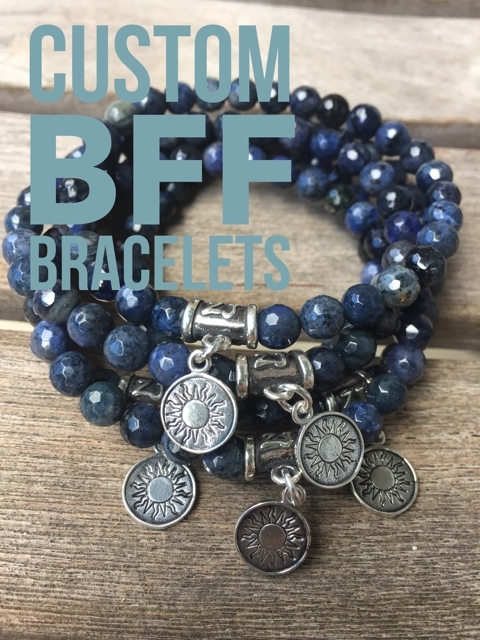 Devin chose Dumortierite, a stone of patience which also teaches how to stand up for yourself. If open to change this crystal can bring many gifts! She also requested a sterling silver hand stamped sun charm as the sun represents something special to her.